The use of this site is governed by the policies, terms and conditions set forth below . Please read them carefully. Your use of this site indicates your acceptance of these terms and conditions. Your placement of an order indicates your acceptance of these terms and conditions. Your submittal of any purchase order to Paddleshop Pty Ltd ATF The Wheatley Family Trust (here after referred to as Paddleshop Pty Ltd) indicates acceptance of these terms and conditions. These terms and conditions shall supercede any subsequent terms or conditions included with any purchase order, whether or not such terms or conditions are signed by Paddleshop Pty Ltd.
Paddleshop Pty Ltd reserves the right to make changes to this site and these terms and conditions at any time. By ordering on Paddleshop Pty Ltd you grant us the right to add your contact details to our database. From time to time we may contact you about offers and new products. 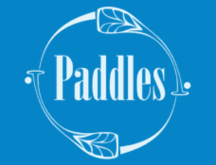 You can easily be removed by either unsubscribing via a link or contacting our Customer Service at sales@paddleshop.com.au and we will remove you from marketing communications. Relax, everything is covered by our 14 day refund policy. Returns must be in as new condition with tags attached or packaging unless faulty. Due to health regulations, we are unable to exchange or refund on any underwear. We supply high quality gear. Hence new paddles, paddling craft, clothing and acessories are covered by a manufacturers warranty against manufacturing faults. All warranties offered are the manufacturers warranties and not that of Paddleshop Pty Ltd .
Paddleshop Pty Ltd is not liable for any losses or damages caused by this website or any website linked to or from this website. We reserve the right to refuse any order without giving reason. Upon cancellation of an order we will make all reasonable attempts to contact you using the details provided. All received monies will be refunded using the method received. The delivery times provided by Paddleshop Pty Ltd are estimates only. Paddleshop Pty Ltd will not be held accountable for late deliveries or loss or damage relating to late deliveries. In the event that multiple items are ordered, part deliveries may be made where stock is not available. All reasonable attempts to notify you will be made using the details you provided. Please ensure you enter the correct delivery address. Paddleshop Pty Ltd can not be held responsible for incorrectly entered delivery addresses. Items purchased will be sent within 48hrs unless you are contacted to advise otherwise. Paddles and other large accessories are delivered using a courier to home or business addresses, and require a signature on delivery. We package products so they have adequate protection from damage during transport, however occasionally paddles arrive damaged and broken. It is important recipients check that their goods have arrived in a satisfacory condition prior to signing for the delivery. We recommend you unwrap your paddle from its packaging before signing the courier documents. Paddleshop Pty Ltd does not take responsibility for paddles damaged during delivery once signed for. Paddleshop Pty Ltd cannot be held responsible for an incorrect address being entered on your order. A team order constitutes an order made by a team contact, in one transaction. It is to be paid in a single payment (not multiple payments by individual team members). If notified before goods have been dispatched, Paddleshop Pty Ltd can accommodate standard order cancellations. If items have been packaged or shipped, Paddleshop Pty Ltd reserves the right to refuse order cancellation or charge a cancellation fee. Paddleshop Pty Ltd also reserves the right to refuse cancellation of special order products which are not standard stock items and have been specially ordered in. Payment terms are upfront, unless otherwise negotiated. Late payments will receive one follow up correspondence before incurring a 6% administrative fee. Paddleshop Pty Ltd does not collect or store any cardholder account details. Payments are processed using the banks secure payment gateway. Please feel free to contact us with any queries or concerns.